Ever since it was born, Lizard has distinguished itself through its technical and comfort features in a way that is different from all the other outdoor brands. The continuity and the consistency in following its philosophy has contributed to the creation of the category “Natural Footwear”, that is mainly based on the respect of the foot. Freedom of the foot but without foregoing other essential requirements for footwear dedicated to the Outdoors: protection, flexibility, anatomical forms that allow for the natural expansion of the foot. Wrapping and breathable uppers and soles with low profile for a better ‘feel’ of the ground and exceptional grip. 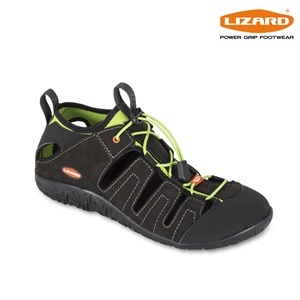 The positioning of Lizard is unique in outdoor footwear and covers an important category that is rapidly growing. Ventilated like a sandal, yet protected like a shoe. The Ibrido is lightweight, soft and offers excellent grip on most kinds of terrain. Everything began at the beginning of the 1900 with our grandfather Gustavo, shoemaker. 50 years later, our father Alfeo established Aicad and in 1986 the business went to us, Lille and Luca. Lightweight, comfort and freedom of movement are the features that we’ve always looked for when designing our products. During the early 1990s, the PROJECT LIZARD® was born and has evolved with a belief that “in order to be comfortable, footwear needs to respect the foot”. From that time onward, all our efforts were invested to create anatomically friendly footwear. In 1992 the first result of this philosophy was the sandal Hike. In 1997, we launched the shoes Fin and Paw, the first minimalist outdoor shoes ever. In 2010 we started producing the Shield, an innovative waterproof and breathable over-sock. In winter 2012/13, our minimalist innovation continues with the new Kross, that maintained the features of the summer version, adding warmth and extreme grip on cold terrains. 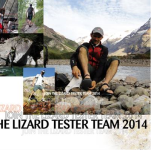 Lizard is Recruting New Testers!